Kittens can start their vaccination course from 9 weeks of age, and need 2 injections 3 - 4 weeks apart. We vaccinate against feline rhinotracheitis virus (causes cat flu symptoms), feline enteritis (parvo), calicivirus and feline leukaemia virus. Kittens should be kept inside for 7 days after the second vaccine and will require a booster within 15 months of the last vaccine. Adult cats require annual boosters, after completing the kitten course. Unvaccinated puppies should be kept away from public places as a precautionary measure. We advise that puppies are 6-8 weeks old when they receive their first vaccination. The second vaccine is given 3-4 weeks later and they should be at least 10 weeks of age. 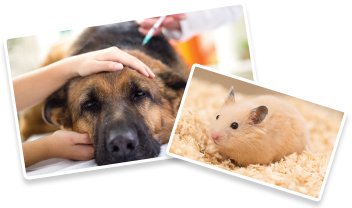 We vaccinate against Leptospirosis, Distemper, Parvovirus, Infectious Hepatitis and parainfluenza virus. After the second vaccination they need to be kept indoors for a further 7 days. Adult dogs require annual booster vaccinations once they have received all of their puppy vaccinations, in order to keep their immunity level constant. Please note that included in the cost of the booster vaccination is a complete health check, giving us a chance to pick up any underlying issues that could develop into a health issue for your pet! 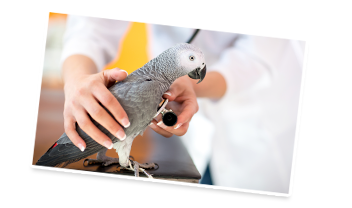 Contact one of our clinics if you'd like further information on vaccinations or to make an appointment for your pet.